To our all dear Nature Line friends we are here presenting you with our 70 Summer Recipe Campaign. These tasteful recipes vary from super simple to more elaborate, 70 recipes which are full of flavour and most of all loved by all the family. This selection of recipes was prepared to meet all expectations being weight watchers, meat lovers, vegetarians or anyone with a sweet tooth. 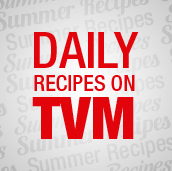 Throughout all summer up till next week recipes are being broadcasted daily on TVM. Anyone who missed out a favourite recipe, this can still be fully viewed on our website by clicking on the image below, all recipes can also be seen on our Facebook page www.fb.com/lambbrand or our YouTube channel. We are more than happy in receiving your comments and suggestions on our Facebook page. In the meantime keep well and watch out for more! !